Find the Perfect Invertebrate Aquarium Fish for Your Tank! Whether you’re a veteran hobbyist or a curious beginner looking to get your feet wet, you’ve probably considered adding invertebrates to your aquarium. They make beautifully diverse aquarium fish that add a distinct personality to any aquatic collection. But some species require a great deal of work and might upset the habitat of your tank. So, before you start filling your aquarium with anemones, read on to find out which species are easy invertebrates to take care of—and which are a little riskier. The Amano shrimp is a great invertebrate to add to your collection. They are a peaceful species that won’t disrupt the delicate community of your aquarium. Larger than other species of shrimp, Amano shrimp are less likely to be eaten by their tankmates. They don’t breed easily, so you won’t have to worry about a population boom. Plus, they feed off the waste in your tank, making them the perfect clean-up crew! 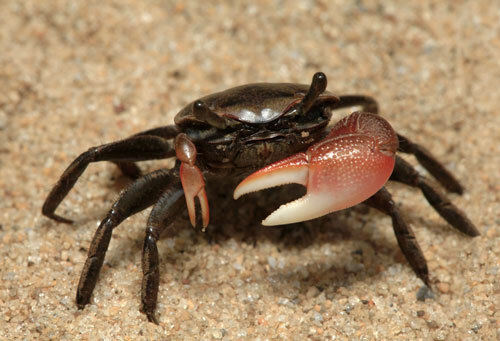 These are the most popular species of crab for freshwater aquariums. While they might be tiny, they’re quite durable and are relatively low maintenance. As natural scavengers, they’re pros at keeping tanks clean from detritus and uneaten fish food. Of all the species of easy invertebrates, the dwarf crayfish might just have the most character. Unlike other crayfish species, dwarf crayfish won’t typically feed on your other fish. Plus, they’ll always be willing to run toward you, pincers at-the-ready, in an adorable display of territorialism! These gorgeous, flower-like species make stunning additions to aquariums-- but they can be extremely finicky. To survive, they depend on intense light at specific wavelengths to mimic natural sunlight. They prefer “nutrient-poor” environments, meaning they can’t tolerate a build-up of waste byproducts. So, maintaining your aquarium’s hygiene is a must. They also limit the number of aquarium fish you can keep—and the type. Typically, herbivorous fish do better with corals than carnivores as they produce less waste. Generally, sea sponges do poorly in captivity. They eat on a constant basis and often don’t receive enough nutrients in the home aquarium. Transferring them to your tank can also be challenging. It’s very easy for outside air to get trapped in the matrix lining the inside of their bodies. If this happens, the path for food to reach their cells can become blocked, and your sponge could die. 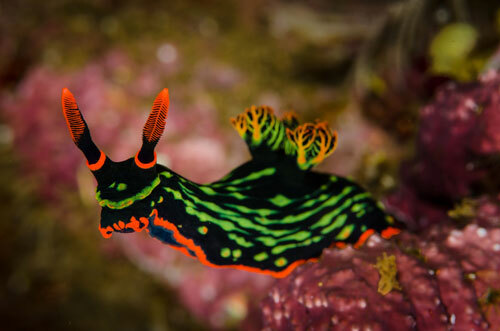 Sea slugs can be challenging invertebrates to care for. collection of aquarium fish. But they can be challenging to care for. They have relatively short lifespans in the wild (about a year) and require a complex diet consisting primarily of other invertebrates. This specialized diet can be difficult to keep up with and, if not properly maintained, can have negative effects on your slug. Some species of sea slug even secrete a venomous toxin that will kill other fish. So, if you’re interested in this invertebrate, make sure you do your research before making your purchase. If you’re new to the world of invertebrates, it might be a good idea to start with species that are easier to care for. But if you have your heart set on a species that requires more maintenance, don’t let this list deter you! If you do plenty of research and fully understand how to properly care for your invertebrate, then you should be perfectly fine. Remember, Living Art Aquatics in Crystal Lake, Illinois is always here to answer any questions you might have about your aquarium fish.